China successfully launched the Alcomsat-1 telecommunications satellite towards geostationary orbit on Sunday, as part of a contract for design, construction and launch of the satellite for Algeria. A Long March 3B/G2 carrier rocket lifted off at 16:40 UTC on Sunday (00:40 local time Monday) from the Xichang Satellite Launch Centre in Sichuan Province, southwest China. The first indication of launch taking place came from startled locals posting on social media, with Algerian media confirming successful injection into geostationary transfer orbit within the hour. Upon reaching its intended position of 24.8 degrees West at around 35,786 km (22,236 miles) above the surface of the Earth, Alcomsat-1 will undergo a period of on-orbit testing before being handed over to Algeria, which has two ready ground stations and whose staff have been trained in China. The satellite carries Ku- and Ka-band transponders for civil applications such as internet and broadcasting services, and X-band, UHF and EHF to meet the needs of military and strategic state sectors. 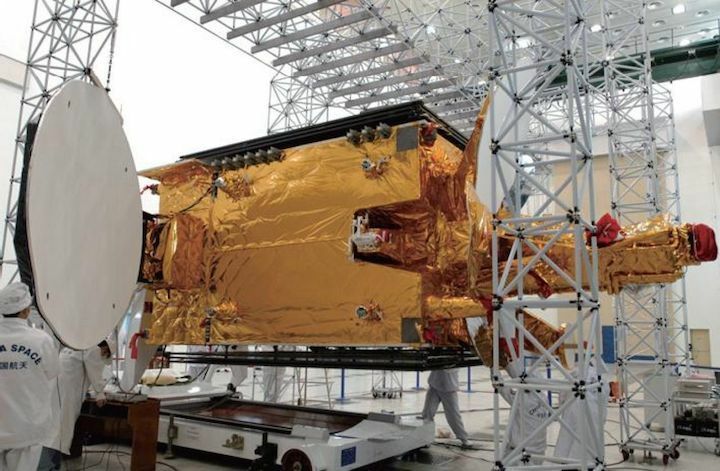 Alcomsat-1 is based on a DFH-4 satellite bus developed by the China Academy of Space Technology (CAST) and is expected to operate for at least 15 years. 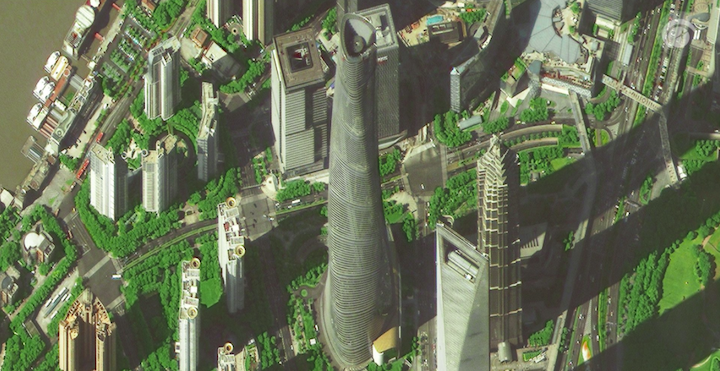 CAST researches, development, and manufactures satellites and spacecraft and is a subsidiary of the China Aerospace Science and Technology Corporation (CASC), the main contractor for the Chinese space programme. The deal for design, manufacture and launch of Alcomsat-1 was made between the China Great Wall Industry Corporation (CGWIC), which negotiates commercial launch services and satellite systems with international and domestic customers, and the Algeria Space Agency (ASAL) in December 2013. The orbital launch was the 16th for China in 2017, coming a week after a classified 'land survey satellite' launch from Jiuquan, and the eighth since late September. CASC, which is responsible for both government and international contracts and also a share of domestic commercial launches, is working to ease the pressure off a large, backed-up launch schedule. It was aiming to launch around 30 times this year, but two launch issues - the partial failure of a Long March 3B in June and, most notably, the failure of the new Long March 5 heavy-lift rocket in July - brought a halt to all launches for 89 days. More launches are expected in December, including the second duo of Gaojing-1, or SuperView-1, commercial Earth observation satellites (December 25-28, via Long March 2D from Jiuquan), and a pair of third generation Beidou navigation and positioning satellites to medium Earth orbits. Further classified payload launches could take place from Jiuquan and Xichang to wrap up an intensive finish to 2017. Around December 2018, a Long March 3B/G2 will launch Chang'e-4, the country's fifth lunar mission, which will send a lander and rover to make an unprecedented attempt at touching down on the lunar far side, which is never visible to the Earth due to tidal locking. The mission will be preceded by the launch of a relay satellite to the second Earth-Moon Lagrange point, a gravitationally stable region beyond the Moon from which the satellite will facilitate communications between Earth and the lander and rover. This is expected to launch in May or June next year. Previous missions this year have included satellites for various needs including telecommunications, reconnaissance, an X-ray observatory for space science, the Beidou programme, meteorology, commercial Earth observationand remote sensing for Venezuela. The major success for China in 2017 was the launch of its first cargo spacecraft, Tianzhou-1, which trialled three rendezvous and dockingprocedures followed by orbital refuelling tests with Tiangong-2. This marked a major milestone in plans for the country to establish its own large, modular space station. 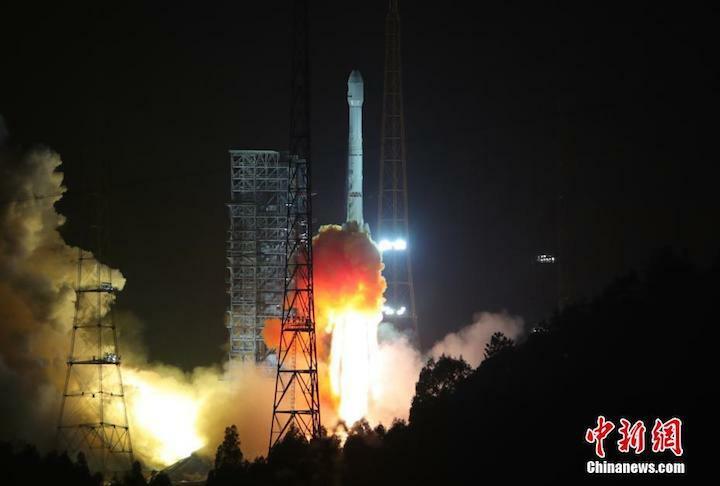 The launch failure of the second Long March 5 rocket in July, carrying the Shijian-18 experimental high throughput telecommunications satellite, also had the effect of delaying the launch of Chang'e-5, a complex lunar sample return mission which was scheduled for late November. The earliest Chang'e-5 could now launch is late 2018, but with the report on the Long March 5 still not released, the mission could yet slip to 2019. China's overall record for Long March rocket launches now stands at 258, with the first taking place on April 24, 1970. Of these, 244 have been successful, with eight failures and six partial failures, bringing a success rate of 94.6 percent. Sunday's launch was the 42nd for the Long March 3B and the 39th successful flight, having suffered a partial failures June 2017 in June 2017 (Zhongxing-9A), August 2009 (Palapa-D), and catastrophic failure in the first launch in February 1996.